More than 75 lawsuits have been filed alleging the Model 700 is susceptible to firing without the trigger being pulled. At least two dozen deaths and more than 100 injuries have been linked to accidental discharges involving the 700’s trigger mechanism. Earlier this month, a class action lawsuit filed in federal court in Missouri was settled, at least preliminarily. The parties must file a formal settlement agreement by October 30, which will be submitted to the judge for approval. In that case, a man alleged his rifle had fired accidentally three times, twice when the safety was released and once when the bolt was opened. Other suits have been filed by plaintiffs who experienced an actual injury or death due to the faulty trigger mechanism. A Texas jury awarded $17 million to a man who lost his foot when the rifle accidentally discharged. A settlement ended a tragic Montana case filed after a nine-year-old boy was killed when his mother’s Remington 700 went off as she was unloading it. We were all shocked when it came to light that GM had long been aware of the faulty ignition switches that caused the loss of many lives and that the company had chosen not to make design improvements because they wanted to protect their bottom line. Guess what? Remington did the same thing. Investigative reports, as well as documents filed in Remington lawsuits, show that the manufacturer knew back in 1948 that the trigger’s design could result in a misalignment and accidental discharge, yet they rejected the proposed design change because of the cost, said to be pennies per gun. 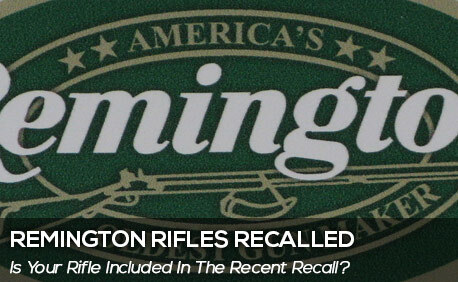 Not only that, Remington considered a nationwide recall of the 700 series in 1979 and again in 1994 but instead decided to offer to retrofit existing rifles — for a $20 fee. For purposes of this discussion, it doesn’t matter what side of the gun control issue you come down on. The question is not who should be allowed to have guns or where. The point is that gun manufacturers who deliberately put a defective weapon on the market should be held accountable for the deaths and injuries those weapons cause. Some say they should also have to compensate owners of the recalled rifles for the loss in resale value, similar to the damages sought by owners of Chevy Cobalts. If you own a Remington rifle, please take the time to determine whether it is subject to the recent recall. The South Carolina gun accident lawyers at the Louthian Law Firm can advise you of your rights if you or your loved one has been injured by a negligent gun manufacturer or gun user. Call us in Columbia at (803) 454-1200 for a free consultation.